The Adair County Sheriff’s Office requested OSBI investigative assistance with a homicide in Adair County, Oklahoma. On Feb. 3, at approximately 8:02 p.m., the Adair County Sheriff’s Office received a call of a stabbing that occurred at 80298 S. 4730 Road, Stilwell, Oklahoma. Upon arrival, law enforcement and emergency medical personnel discovered the victim, Marco Antonio Hernandez, 28. He had sustained severe injuries and later died at the scene. A crime scene investigation was conducted and witnesses were interviewed. 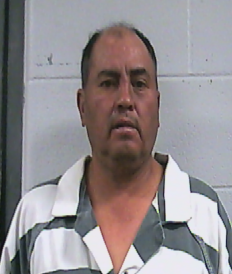 On Feb. 4, Marco’s father, Juan-Daniel Hernandez, 51, was arrested by the Adair County Sheriff’s Office and booked into the Adair County Jail. Juan-Daniel is currently being held on a charge of manslaughter.